For any electrical services in your home or electrician, rely on a residential or domestic electrician for upgrades, repairs, installations and replacements in Mornington, Frankston & Chelsea. A commercial electrician takes care of the electrical service needs of a commercial enterprise, office, retail space, or commercial buildings in Mornington, Frankston & Chelsea. General Electricians are basically tradesmen who engage in all general electrical services. Their responsibilities include servicing and attending to any troubleshooting issues. Based on Mornington Peninsula, Your Electrician has been around for a while now and have been offering professional electrician for all electrical services and solutions for domestic, commercial and industrial customers.’ If you reside in the Mornington, Frankston or Chelsea area and are seeking a domestic electrician or a commercial electrician, to take care of the range of domestic and commercial electrical services, then without a moment’s hesitation just reach out to us. Are you based out of the Mornington Peninsula, Frankston or Chelsea area? What type of electrical services are you looking for? Do you want power cable installations, wiring, upgrades, servicing, replacements, maintenance, repairs, cabling, wiring and anything on these lines, then our domestic and commercial electricians are adept at taking care of all this in Mornington Peninsula, Frankston and Chelsea. As part of our electrical services and solutions that we extend to customers’ in and around the Mornington area, Your Electrician will refer commercial electrician Frankston, domestic electrician or even industrial electrician from Chelsea to take care of job. our include testing and tagging, cabling, fault finding, repairs and replacements, installing lights and lighting systems, rewiring, installing security features and solutions and appliances and fixtures and more. If you are in the quest of a dependable electrician, then Your Electrician is right here! If you want to engage our services, contact us on 0417 374 721 or write to us at iamyourelectrician@gmail.com. Your Electricians will always listen to you our customer, and offer tailored, customized domestic and commercial electrical service solutions basing it solely on your requirements. All the work and projects we currently are undertaking, have undertaken and will undertake are completed on-time and within the stipulated budget in Frankston and Mornington. We have on board expert electricians and personnel who endeavour to push boundaries to achieve quality and distinction. Our range of electrical services and solutions in the domestic and commercial sphere is vast and comprehensive. Our electricians come equipped with multi-skills and have a wealth of experience. So, if you seek specific electricians specialists in Chelsea or Mornington Peninsula or Frankston, we are good for that. A domestic electrician as the name indicates handles any electrical services for residences, homes and houses. A domestic electrician will take care of any size project and it can cover, wiring, appliances, lights, fixtures, equipment, security systems, safety switches, cabling, upgrades, repairs and servicing. A qualified domestic electrician will know what really comes under the electrical service requisites for domestic electrical services in Mornington. A commercial electrician helps install, set-up, fix, repair, service and maintain any electrical services pertaining to commercial buildings and offices. Cabling, wiring, and frequently checking and confirming if everything is in order and working, and ensuring that the switch and switchboards, equipment and electrical appliances are all in good working conditions. If you want new air conditioning to be installed, or if you want servicing, repairs and maintenance of air conditioning installed in homes and offices and commercial buildings, then accordingly the commercial or domestic electricians of Your Electrician will take care of it. The type of air conditioning required for your home or office will be determined by us. We only install branded, and energy efficient air conditioning systems. General Electricians are basically tradesmen who engage in all general electrical services. Their responsibilities include installation, maintenance, design, repair, servicing and attending to any troubleshooting issues. 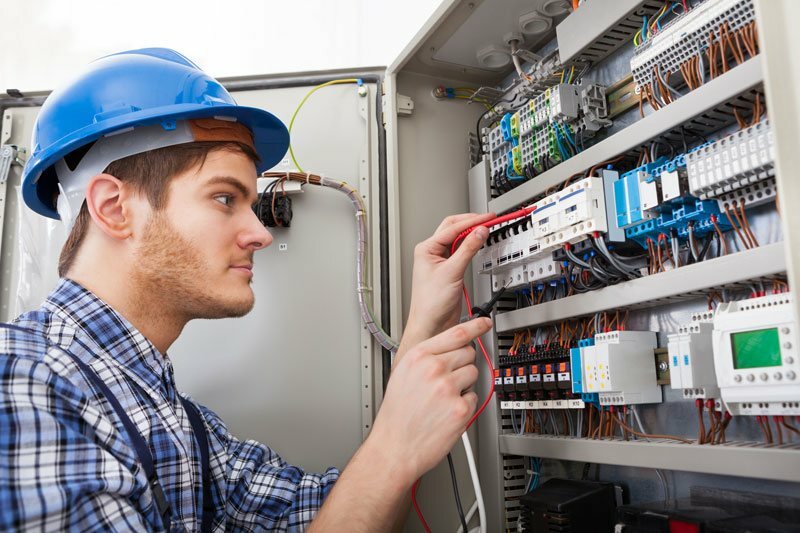 Anything to do with air conditioning, wiring, and covers homes, commercial buildings and even appliances and equipment come under the purview of a general electrician in Chelsea.